The Cambodia Programs of the WSD HANDA Center for Human Rights and International Justice, in partnership with the East-West Center and with support from the British Embassy in Phnom Penh, has written and published ‘So We Can Know What Happened’: The Educational Potential of the ECCC. The report is the result of six months of research into the perspectives of Cambodian youth about the Extraordinary Chambers in the Courts of Cambodia (ECCC), and its educational potential. The research conducted for this report sought Cambodian views on the connection between the ECCC and various education initiatives currently underway in Cambodia. This report, which draws on data gathered through focus group discussions with 83 university students and 16 expert practitioners, finds that the ECCC could make a considerable contribution to the education field in Cambodia, and that this potential has yet to be fully tapped. 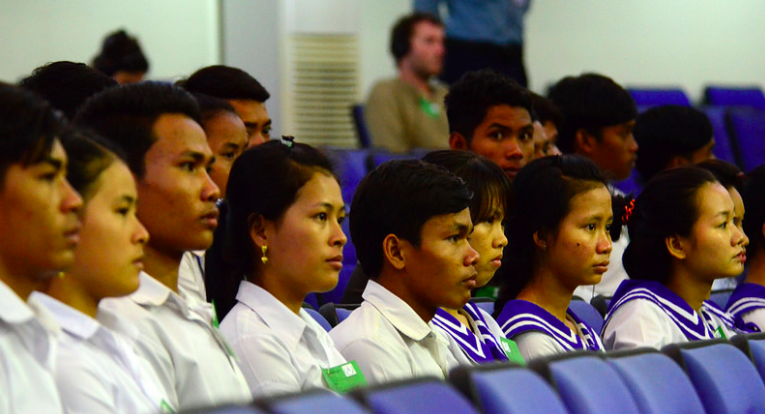 During conversations about the ECCC, students identified the potential for the Tribunal to educate their generation about the past as its biggest potential legacy; ranking this higher than judicial, psychological, or capacity-building legacies. Responses gathered by this research also identify a low level of awareness among youth concerning existing programs and opportunities available for students who are interested in learning more about DK history. Students often made recommendations for programs or initiatives that in fact exist already. Closing this awareness gap would improve the effectiveness of existing programs and could improve the overall understanding of the DK period. By opening up the discussion on the educational potential of the ECCC, this report hopes to motivate educators and students alike to more actively engage with Cambodian history in creative and thought-provoking ways. Although the ECCC may be drawing to a close, it is not too late for it to leave a positive legacy in the educational space. For the full 62-page English report, including Khmer-language executive summary, recommendations and conclusions, see here.